We all know the best way to get to her is with the gift of relaxation. That’s why we created this spectacular spa gift that’s perfect for any occasion. 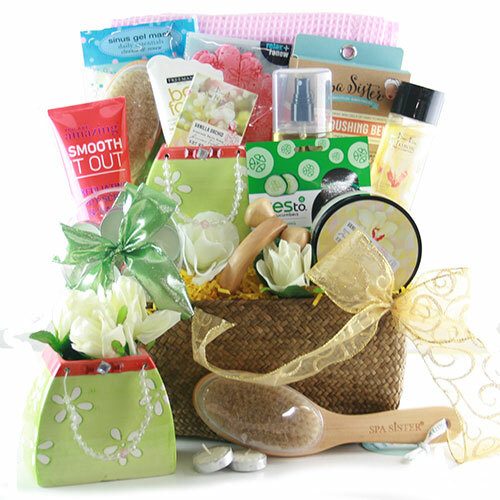 Inside this adorable, keepsake basket , she’ll find an unparalleled collection of body lotion, spray and scrub to bath brush, body massager and spa wrap. Is’ pure heaven.